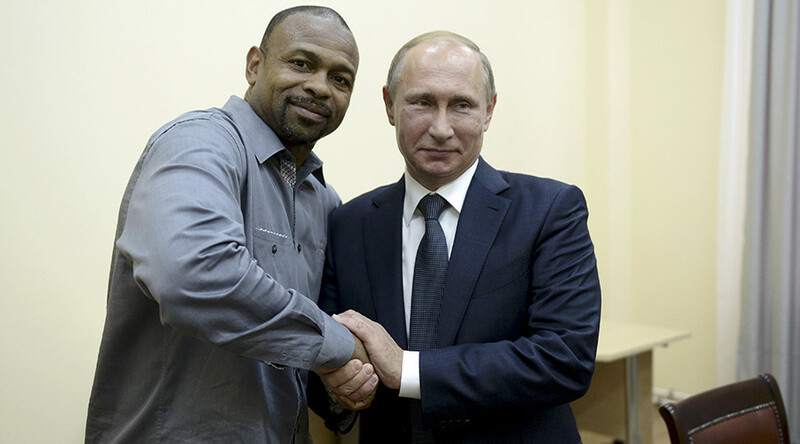 A day after legendary US boxer Roy Jones Jr. briefly met President Putin during his Crimea visit – and asked for a Russian citizenship – the 46-year-old champion has been placed on Ukrainian black list of “traitors”, “separatists” and “terrorists” with Kiev threatening him with a criminal case. “American boxer Roy Levesta Jones was included into the ‘Peacemaker’ database as a violator of the state border,” Ukrainian MP and Interior Minister’s top adviser Anton Gerashchenko wrote on his Facebook page. “In order to attract worldwide attention, especially from the American public, I turned to the head of the SBU with my deputy mandate to open a criminal case under Article 332-1 against US citizen Lavesta Roy Jones for violating the state border of Ukraine,” Gerashchenko wrote. Following Crimea’s referendum and accession into the Russian Federation last year, Ukraine adopted Article 332-1 to try and prohibit foreign citizens frome entering Crimea, which is now under Russian jurisdiction. Violators are threatened with imprisonment of up to eight years, if the “crime” is committed repeatedly by an “organized group” ... apparently, even tourists. Jones, who is in Sevastopol this weekend to take part in a boxing show, crossed the border “illegally,” insisted Gerashchenko. Furthermore, the top adviser in the Interior Ministry claimed that Jones was paid a “certain sum of money” by the Russian authorities to “promote” Vladimir Putin’s working visit to the region. READ MORE: Putin goes to Crimea – but where’s the Western outrage? At the same time, the Ukrainian politician noted that famous French actor Gerard Depardieu was “wise enough” to turn down “repeated attempts by the Russian authorities to invite him to Crimea for his favorite pastime – winemaking and alcoholism.” Depardieu was apparently lucky to avoid a criminal case against him in Ukraine, as the actor is already on Kiev’s black list.